At the recent ACE Day at Six Flags Magic Mountain, ACE members and their guests were treated to plentiful ERT on California’s newest wooden roller coaster: Terminator Salvation The Ride. 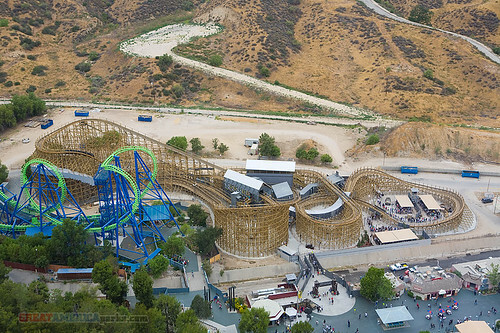 If you have not ridden it yet, get yourself to Six Flags Magic Mountain pronto. It’s an outstanding ride! Yes, it has special effects and on-board audio, which definitely add to the experience. But even without those extras, this would still be a top-notch ride. Great job, Great Coasters International! Special thanks go to ACE Southern California Regional Representative Steve Berto and his assistants for putting on such a great regional event. Special thanks, of course, also go to Six Flags Magic Mountain for their great hospitality!